This large lake to the south of Madison is one of the top local destinations for a run of any length, whether it’s a quick jog around the bay, or a nice long loop along the entirety of the lake. If you have lots of energy, burn it off on the Monona Loop, the 11 mile circuit skirting the lake. 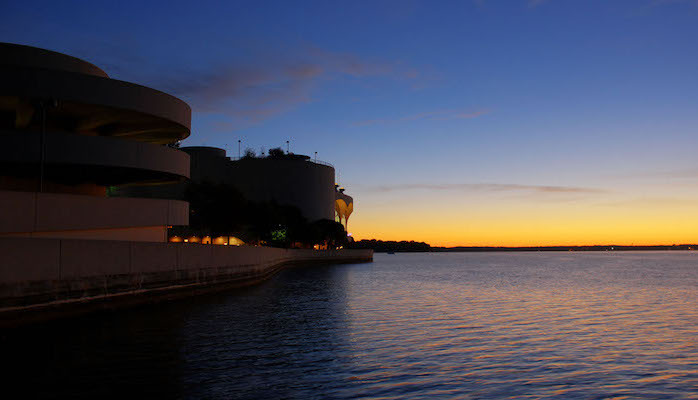 Not only are the waterfront views unstoppable, it’s a great little tour of Madison’s neighborhoods, including Monona, Olbrich Park, the Monona Terrace (near downtown and the Capitol).. It’s mostly paved, but includes a few dirt trails and bike paths. Start in Olin Park and head south on the Capital City Trail until it meets up with Waunona Way. Take a left onto Waunona and continue through the neighborhood until you reach the Yahara River. Cross over Bridge Road and take another left onto Winnequah Road. This will take you north for a long stretch before connecting to Monona Drive, which turns into Atwood Ave. From there, the loop heads southwest through neighborhoods on Lakeland Ave, Rutledge Street, and Spaight Street before meeting up with the Capital City trail once again. Looking for a shorter run? Locals also like to do a 3 mile waterfront run along just the bay with great views of the Capitol and Brittingham Park. Start on North Shore Drive and head west on the paths through Brittingham Park. On the west side, hop on West Shore Drive which turns into South Shore Drive. At the end of the line, turn right onto Lakeside Street which will spit you back out on John Nolen Drive. Here, you can return north on the Capital City Trail for a total of 3 miles.